The U.S. Government has not always been a great friend to the auto industry. Think Corporate Average Fuel Economy standards instead of more sensible gas taxes, and mandating tire pressure monitors that don’t tell you which tire is low. But the U.S. Department of the Interior has approved creation of a registry of historically significant automobiles to be recorded at the Library of Congress, a list which will quickly number in the hundreds within a few years. Now, let the debates begin in every car museum, bar, auto show, repair shop and backyard barbecue as to what cars should be included. 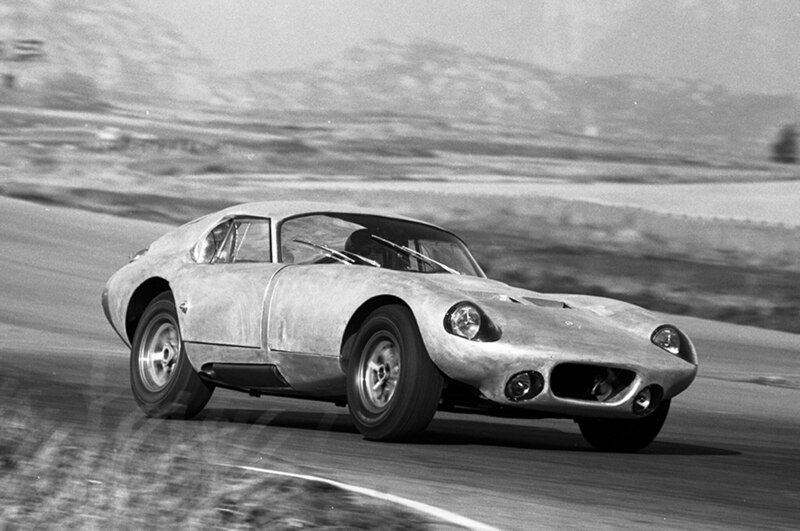 The first car, though, has been agreed upon: the 1964 Shelby Cobra Daytona Coupe. The Historical Vehicle Association made the announcement of the new National Registry at the Washington D.C. Auto Show January 22. Why the Shelby? The effort has to start somewhere, and it is a broadly held favorite of car historians in the know. The actual car, serial number CSX2287, was the first of six Daytona Coupes, the prototype in fact, produced by Shelby American in Los Angeles, and designed by Peter Brock to take on Ferrari in the GT series. The car enabled the Shelby race team to win the International Manufacturer’s GT Championship in 1965, the first time an American manufacturer won an international race series. Part of the car’s importance, says HVA President Mark Gessler, is that it is one of the few racers from the period to not be fully restored. It is housed at the Simeone Foundation Automotive Museum in Philadelphia, but is on display at the auto show this week. Car number-CSX2287 (pictured at top) has quite a history beyond the track. After its racing career was over in 1965, the car was sold to legendary music producer Phil Spector, who was known to drive the car around the streets of Los Angeles, racking up numerous speeding tickets. It was also used in an episode of “The Monkees” TV show in 1968. It sold again, was stored and then went missing in the mid 1970s. In 2001, it was discovered in the storage unit of previous owner Donna O’Hara, who had committed suicide almost thirty years earlier. Her heirs sold it for $4 million, and it found its way to Fred Simeone’s museum. Such registries have become familiar to the public. The National Film Registry of the Library of Congress, for example, ushers in 25 new films per year deemed historically important by the Library following a review of nominations made by the public and conferring with film curators and the National Film Preservation Board (NFPB). Michael Moore’s 1989 documentary film “Roger and Me” about General Motors was added to the registry in 2013. The HVA already is considering a list of nearly fifty automobiles in museums and private hands. But because of the extensive documentation work required for each nomination, the list has been whittled to ten that the HVA wants to have cleared with the Interior department in time for next year’s show. One on deck is #GP01, the first U.S. Army Willys Jeep to roll off the assembly line for the war effort in World War II. It resides in an Alabama war museum. The last Cadillac officer’s staff car from World War I is also on the list. The HVA expects to announce the list this fall, showcased in an event in Northern Virginia. Gessler says that a vehicle’s “association” is key to the criteria for making the Registry: association with a person, event, design and construction values, as well as informational values. “The list, which I expect to eventually number in the thousands, will include every kind of vehicle, such as certain commercial trucks like milk delivery, ice cream…vehicles that tell a story, represent a time or era, or historical perspective.” The vehicle can’t just be a representation of a million produced, though. “The history, associations and condition, of each vehicle is key,” Gessler says. The cars will stay where they are, but the Library of Congress will house files for each vehicle on the registry that includes documentation, line drawings, and film photography. Those files are then open to the public for study. Besides Gessler, the team of consultants working with the government include Fred Simeone, the museum’s founder; Bill Warner, founder of the Amelia Island Concours D’Elegance, Ed Gilbertson, former chief judge at Pebble Beach Concours D’Elegance and Preservation consultant Bruce Judd. What is the HVA? It was established in 2009 to celebrate and preserve American automotive heritage, and already has 360,000 individual members. Members of the public will soon have the ability to nominate specific vehicles to the HVA for consideration on the Registry. Which car or truck would you nominate? David Kiley, is a free-lance writer, and President of the International Motor Press.